Enjoy knocking back a tasty craft ale? Love tucking into some decadent, gooey cookies? Not a big fan of messy baking? Perfect. 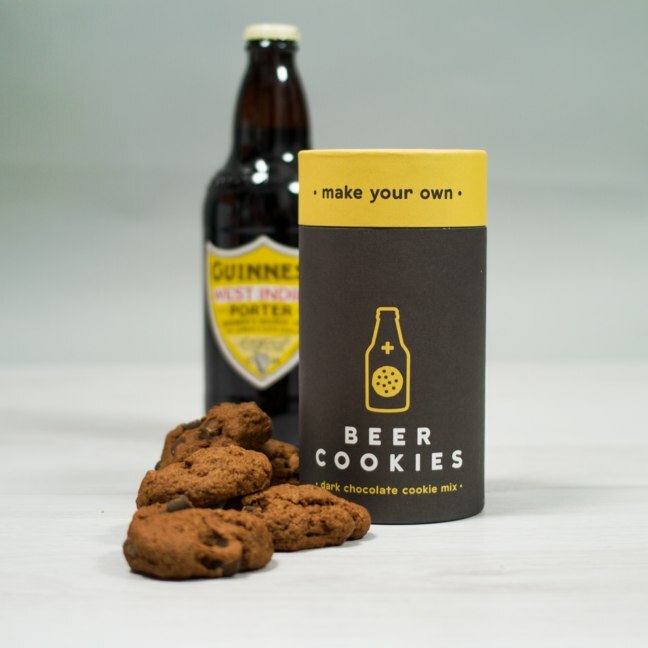 This easy-to-use kit has fused two of life’s great joys into one mind-blowing delicacy – Beer Cookies! Rather than send you down to the shops to buy a whole tub of butter, large bag of flour and a pot of baking powder that you’ll only use once a year – we’ve provided you with precisely the right amount of ingredients to bake 10-12 chocolate chip beer cookies in just 15 minutes. All you need is a baking tray, a knob of butter, a bottle of your favourite beer and an impressive appetite.